With the brokerage market still recovering from the subprime crisis, the yacht charter sector has remained more active throughout the recession and is now accelerating with some reporting a shortage of yachts in less popular cruising grounds such as Spain. Using our proprietary Timeline index, we've gathered a list of some of the most expensive yachts for charter available this summer, some being rented out at over a million euros per week. Famously built for Russian billionaire, Roman Abramovich as the flagship of his fleet, Eclipse was delivered in 2010 by German shipyard, Blohm+Voss (now part of Lurssen), as the largest yacht in the world, a title that she held until the deilvery of the 180-meter Azzam in 2013. Although not on the open charter market, Eclipse is available for rent according to several sources at a rate of €3 million per week with the owner's team dealing with the management of the superyacht's operations themselves, without the involvement of any brokerage firm. 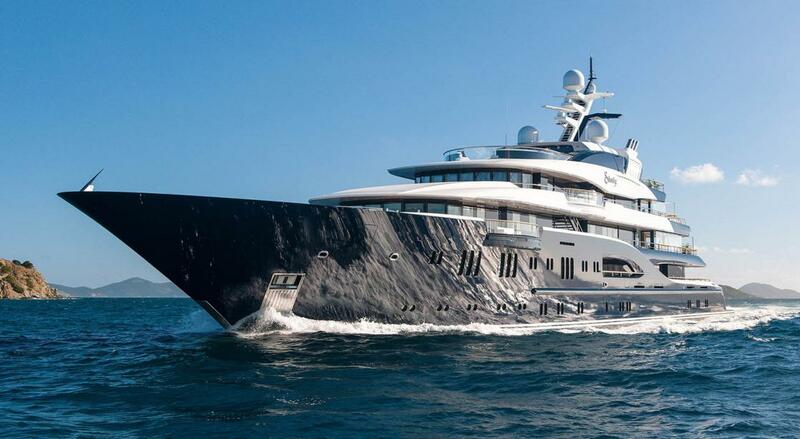 Refitted in 2015, Eclipse boasts a 56-meter private owner's deck, a 16-meter swiming pool that can transform into open deck and can carry up to three helicopters at a time. Measuring 85 meters in length back when she was known as Delma, Queen Miri has been lengthened to 91.5 meters over the course of the 16-month long refit at Amico Shipyard replacing even the yacht's original engines. The refit saw a new jacuzzi being installed on the sundeck and 80% of all interior areas being refurbished. Amongst Queen Miri's newest features is a floodable tender garage that can be closed off and turned into a heated seawater swimming area. Originally built in 2004 as Annaliesse by Greek shipyard, Neorion, the yacht was the 29th largest yacht in the world at launch. Andreas Liveras, the yacht's original owner, ran it as a charter yacht for groups of up to 36 guests. The yacht was then sold in 2007, reportedly to a Dubai-based owner, and renamed to Delma. 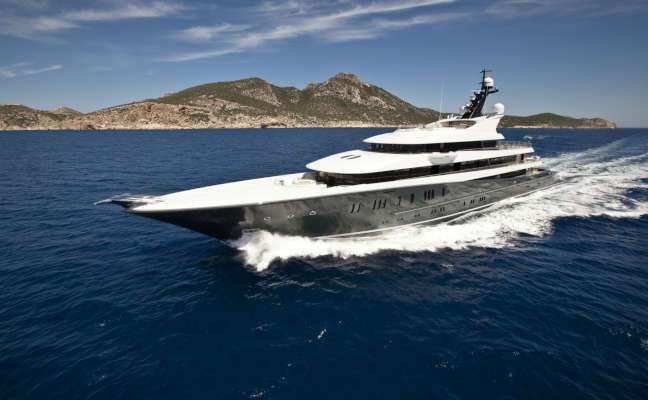 The yacht later came back on the market in August 2013 when Edmiston listed Delma for sale at a price of €53,000,000. Delma was eventually sold again and refitted to its newest look as Queen Miri, coming back on the charter market for the first time in 10 years. Known as Project Touchdown throughout her build, Aquarius was delivered to her owner in the third quarter of 2016 as a replacement for his previous 67-meter Aquarius. Boasting a swimming pool aft of the main deck, Aquarius also counts amongst her features a large Jacuzzi on the sun deck, a gym on the lower deck with a foldable balcony opening onto the sea and panoramic windows offering unparalleled views throughout the yacht. 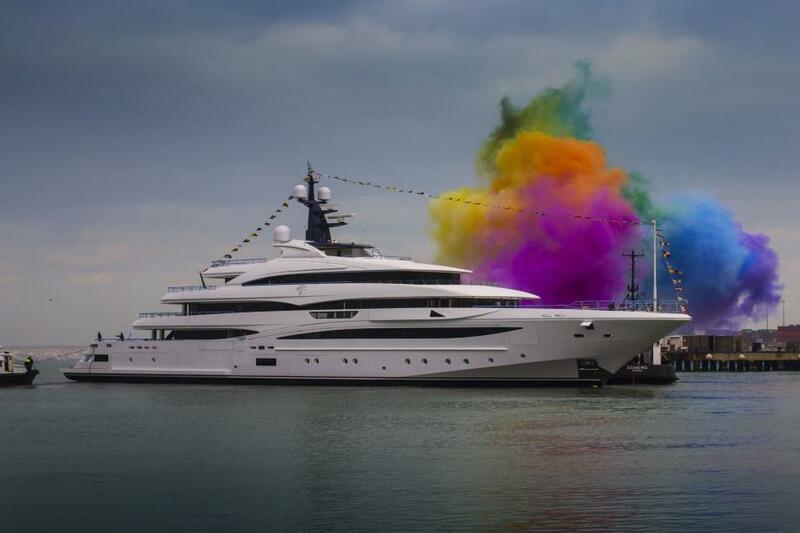 Delivered as part of Amels' limited edition series last year, Here Comes The Sun became the shipyard's largest yacht to date and her owner's 4th yacht named after a Beattles' song. Amongst her main features are a swimming pool aft of the main deck, an extensive beach club area located right under neath with a sitting area, sauna and gym. Other amenities also include a cinema room and a large Jacuzzi on the sundeck. Delivered by Germany-based Lurssen in 2014 to American billionaire Shahid Khan as a replacement for his previous 68-meter Kismet, the 95.2-meter yacht boasts a jaguar on the bow of the yacht, symbolic of the owner's NFL team, the Jacksonville Jaguars, which he bought in November 2011 for $760 million according to the New York Times. Built with corporate entertainment and charter in mind, Kismet stretches over five decks suitable for parties of up to 270 guests. 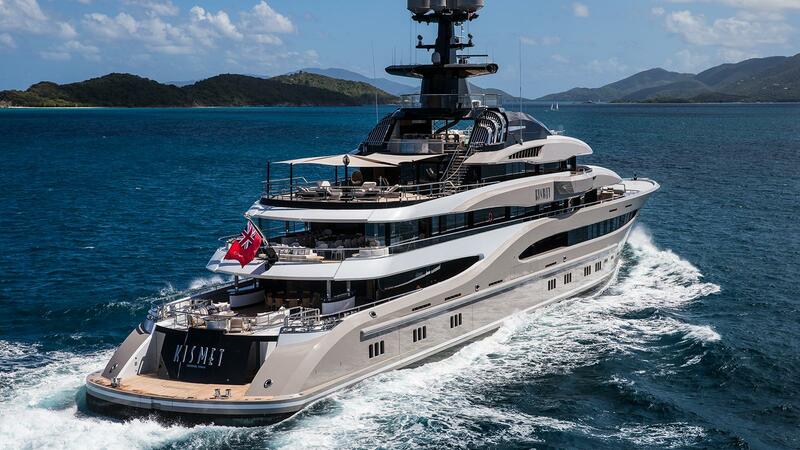 Amongst innovative features on Kismet are her video walls, extending up to two decks high, able to show regular television but programmed to display high-definition moving artwork. 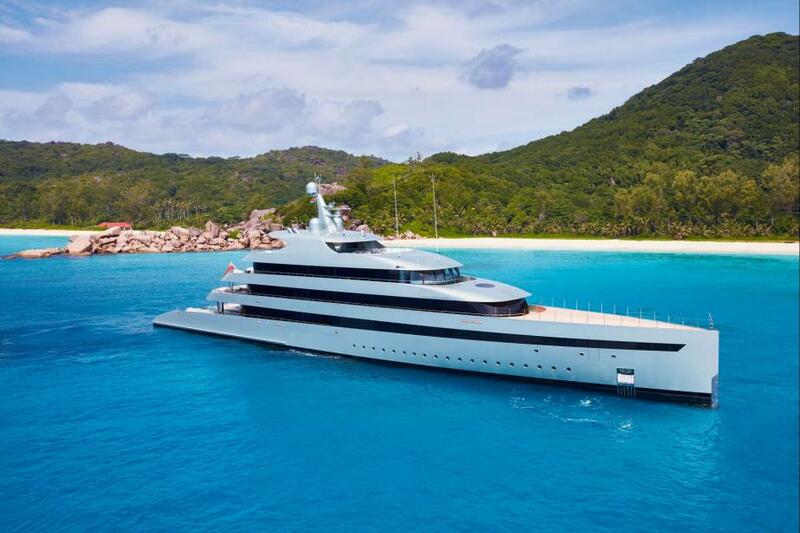 Built for the late Polish billionaire, Jan Kulczyk as a replacement for his previous 61-meter Lurssen, Phoenix was delivered by the German shipyard in 2010. Designed by Andrew Winch, Phoenix boasts over 100 meters of steel handrails built specially to follow the shape of the hull. The owner's stateroom located forward of the yacht is styled like a New York duplex from the 1930s with a private staircase linking the two areas together and leading to a private jacuzzi and owner's deck on the yacht's bow. Other features include a spa pool, jacuzzi and cinema on the sundeck. One of the first examples of a hybrid superyacht, Savannah is powered by extremely quiet electric-diesel engines. Another one of the innovations onboard is the underwater observation room letting charter guests see both over and under the sea. More traditional amenities also include a large swimming pool aft of the main deck, an extensive master suite forward of the upper deck with panoramic windows and a private deck as well as a gym with a sea view, a spa and a hammam. The 85m superyacht was built by Lurssen in 2013 under the code name, Project Niki, based on a modern 80m hull and engineering platform similar to Phoenix2, Ace and Quattroelle. Sold earlier this year asking €155,000,000 through Moran Yacht & Ship and SSH Maritime, Solandge also became the most expensive brokerage yacht, publicly on the market, sold so far in 2017. Designed by Espen Oeino and Rodriguez Interiors, Solandge boasts a myriad of amenities and features amongst which stands out a glass tree stretching from the lower deck to the sun deck through its extensive staircase. 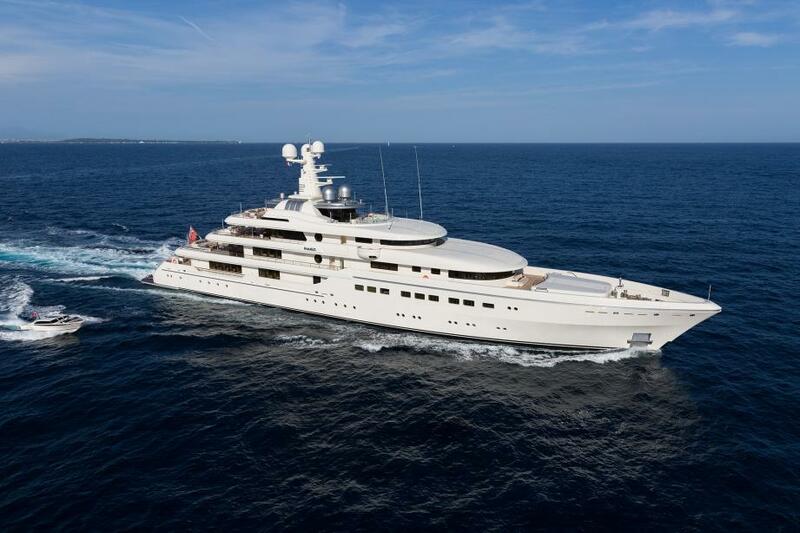 Formerly known as Cakewalk, the 85-meter was sold to her current owner at an asking price of €119 million at the end of 2014 and then refitted for 12 months at Pendennis in the United Kingdom following a name change to Aquila. The largest yacht built in the United States since the 1930s, she has now become the largest yacht to be refitted in the UK with improvements focusing on the interior. The owner's stateroom was entirely remodeled and a 60sqm private deck was added. Quietly delivered in 2015 by German shipyard, Abeking & Rasmussen, Romea attended the Monaco Yacht Show later that same year, coming on the charter market shortly before with Imperial Yachts, a brokerage house focused on the Russian market. Drawn by Terence Disdale, Romea's interior offers a mix of white & beige furnishing with darker finishes across the yacht. Other amenities include two custom-built, limousine tenders, a Jacuzzi on the sun deck, a spa area and a cinema room. Delivered by the Italian shipyard, part of Ferretti Group, Cloud 9 became a replacement for her owner's previous 61-meter CMN of the same name. With an exterior by Zuccon and an interior by Winch Design, Cloud 9 is able to accommodate up to 16 guests (12 when chartering) in a master suite, a VIP suite and 6 guest cabins catered to by a crew of 22.